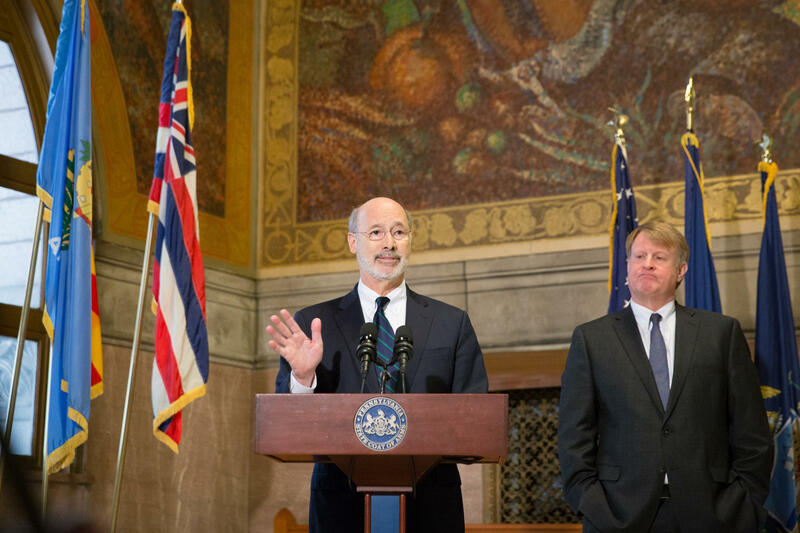 Governor Tom Wolf with Allegheny County Executive Rich Fitzgerald at the County Courthouse in Pittsburgh on Monday, March 12, 2018. Wolf is also proposing that if lawmakers don't pass a budget by the annual July 1 deadline, pay will be suspended for himself, lawmakers and their top aides. This deadline has been missed by state lawmakers the last three years. "This proposal enforces strict standards on how Harrisburg really should operate," Wolf said. "And it will, I think, do a lot to rebuild trust in government." Wolf said some of the requirements outlined in the plan are already in place in the state executive branch. "We have two jobs, one is to pass legislation, but we're also stewards of a grand democratic tradition," he said. "If people are cynical about their government, if people don't trust their government, that's bad for everybody." The Republican-controlled legislature would have to pass the plan for it to go into effect. 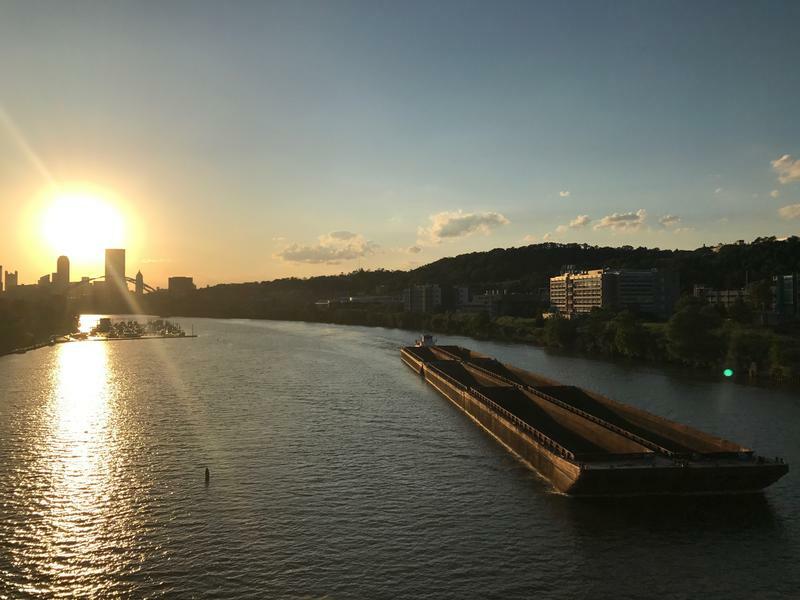 In 2015, the Center for Public Integrity gave Harrisburg's system for discouraging corruption an "F," based on markers including political financing and legislative accountability. Republican state lawmakers wrapped up three weeks of annual budget hearings by tearing into Governor Tom Wolf’s administration for several hours straight. The crime, as they see it? Making what the GOP alleges is an unconstitutional deal to close this fiscal year’s budget deficit. 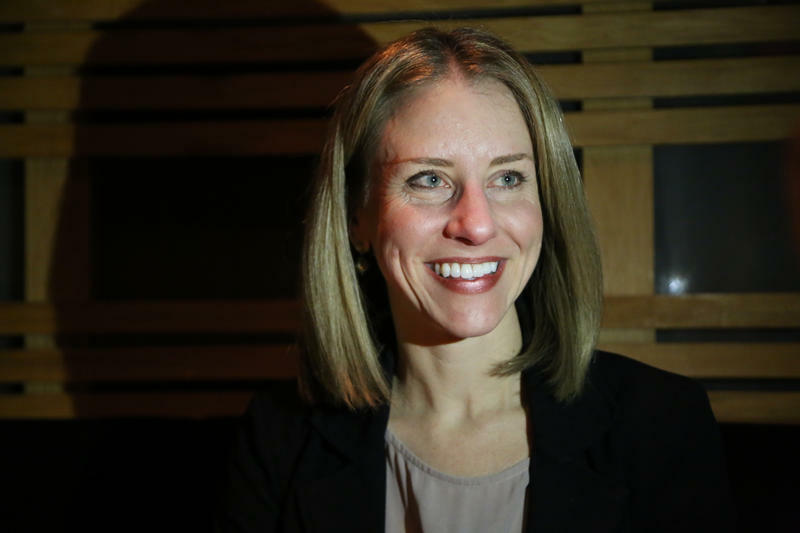 Erika Strassburger made history Tuesday night as the first woman elected to represent Pittsburghers living in Oakland, Shadyside, Squirrel Hill and Point Breeze on Pittsburgh’s City Council with 64 percent of the vote.